Self-care for moms can be difficult. Add in homeschooling and now you’ve really got a challenge! But what if you are an introverted homeschool mom surrounded by extroverts. 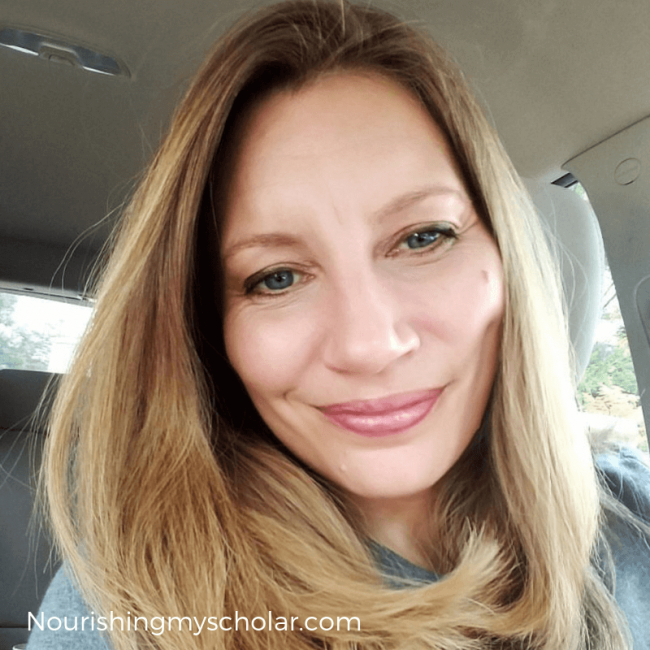 How can you not only homeschool well but also thrive in a world full of extroverts? I confess that I prefer quiet cozy mornings, soothing afternoons where I can write and think, and peaceful days on our little farm that revive my soul. I find beauty in solitude, art, writing, and photography. I need time in nature, and the quiet stillness to fully recharge my batteries. My needs are different than that of an extrovert. I am also highly sensitive. Outside influences such as loud noises, strong smells, phone calls, any social interactions…these all drain me. I am sensitive to overstimulation and emotional overwhelm. When I become overstimulated, my default is to shut down. That can be quite inconvenient as a homeschool mom. I am an introvert who homeschools two intense extroverted kids that thrive in the environments that make me want to shut myself in my closet with a bag of chocolate for days on end. It’s so peopley out there folks! But my children thrive in it. 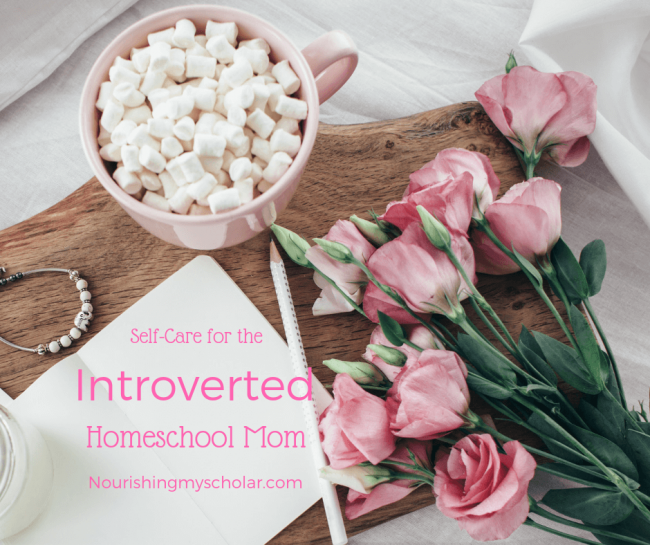 So, how do I thrive as an introverted homeschool mom? 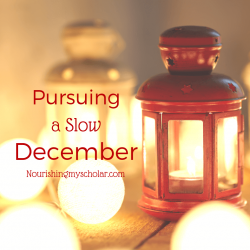 Yet, many of us struggle to set aside time for ourselves. We’re moms. We are constantly taking care of everyone else’s needs, and just taking care of everyone else’s emotional needs is a full-time job. I have two kids, ages 5 and 11. Then there is my husband, extended family, our dog, 4 cats, a ball python, a tarantula, 3 goats, 16 ducks, and 30 chickens. It can become quite chaotic around here! Moms need breaks whether they live on a mini farm or not. But how? We’re homeschooling multiple kids. Then there are the household chores, not to mention appointments, outings, and the chauffeuring of said children to extracurriculars. On and on and on it goes. And no, sorting laundry in a locked laundry room while stuffing your mouth full of peanut butter cups does not qualify as self-care. 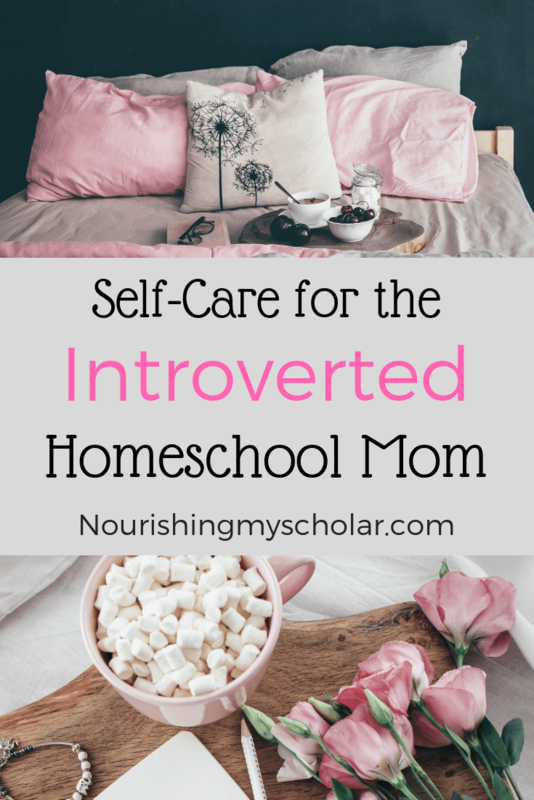 Here are some of my favorite self-care strategies for staying peaceful and fulfilled specific to the introverted homeschool mom. Sometimes, I’m too busy “Momm’in” to get my unwind time during the day. Yet, I feel so much greater if I just take 5 minutes for a bit of time for me. The more time I can give myself the better. It really helps, folks! But let’s be realistic. You may only have 3-5 minutes during the day before someone starts yelling for you about how there’s a towel in the dog water that is now all over the floor and no one knows how it got there! So, I set a timer on my phone to remind me just before bed to unwind with my Gratitude Journal, Prayer, Meditation, or Inspirational Quotes. I know what you’re thinking. Sleep? When do moms get to sleep? My sleep schedule is Wack-A-Do and I’ve struggled with insomnia for years. I’m not a night owl or an early bird. I’m more of a tired pigeon. I’ve come to discover over the years that sleep is a super important component in my personal well-being. So, I make sure that at a certain time, I’m in bed. After the kids are tucked in of course. Though, they are probably not sleeping. Usually, they stay up reading or listening to audio books while building Legos. But I am in bed with my fluffy pillows, a comfy blanket, and a book or my gratitude journal. Try and sleep as much as you can. Also, I’ve found that Magnesium oil on my shoulders before bed, helps with my sleep. My kids are my main priority. But homeschooling doesn’t always go as planned. There are cranky days, crummy days, and sick days. Plus, my kids are talkers! As an introvert, I prefer to listen most of the time. But there are instances when I’ve had my word quota for the day. I can’t talk anymore. I can’t listen the way I should. My brain is done. I need a mom break. That’s when I turn to homeschool activities that DO NOT require my participation. I can set the kids up with one of these educational activities and get a much needed 15, 20, or 30-minute break. Then, I can give my kiddos my all again. 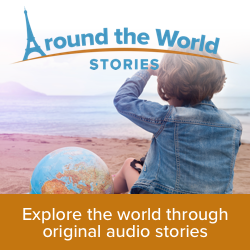 Audible Books ( you can try Audible FREE for 30 days) I’ve got a great list of favorite audiobooks to help give you inspiration. 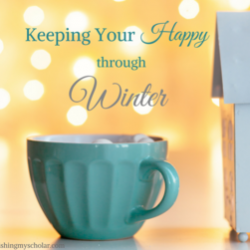 Depending on the season of your homeschool, you may be able to incorporate some quiet time into your day. Baby’s and toddlers make this infinitely harder. Trust me, I know all too well the mischief of littles. Diaper cream wall painting anyone? Vaseline hair-do? So quiet time may be when your littles take a nap. But if your kids are older, then try adding quiet time into your homeschool. Quiet Time is a requirement around here. Every afternoon we have 30-minutes of silent reading. This allows us all to recharge and rest. They may also play quietly, listen to music, and watch the occasional movie. Silence is golden for an introvert. 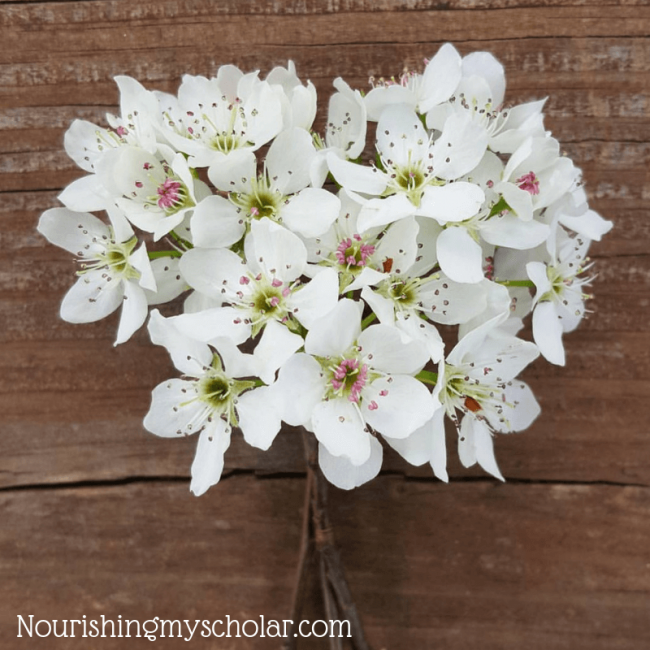 So, quiet time can help you regroup and give you some peace during your homeschool. Self-care on Saturday mornings may look like me taking our Great Pyrenes puppy to get coffee and then to the Farmer’s Market. Sometimes, I’ll splurge on a Farmer’s Market bouquet or Homemade Goat’s Milk Soap! It’s so hard to get moving! Why does it have to be so hard? Yet, if I finally manage to pull my yoga mat out or go with my hubby to the gym, I feel infinitely better! Yoga and the gym may not be your thing. That’s OK! Find Your Thing that gets you moving. Maybe you prefer to walk around the park with your dog, go on hikes in nature, go swimming at the local YMCA, or start running for a 5K. Don’t be surprised by the soreness you’re gonna feel! 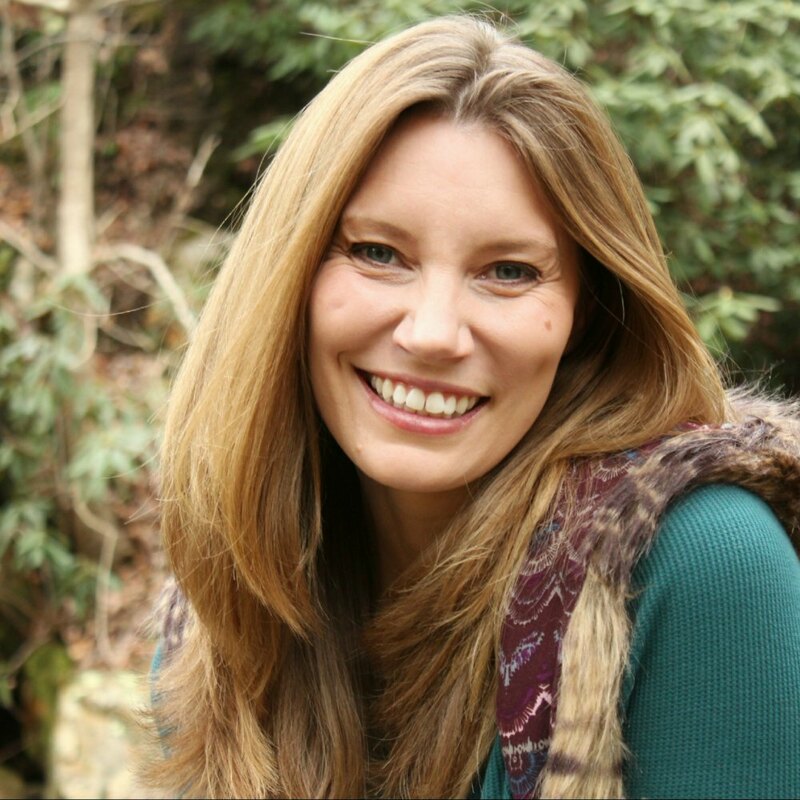 If you want to try yoga, then check out Yoga with Adrienne. She’s my favorite and it’s FREE! Recently, my doctor, had me quit caffeine for six weeks! I thought I would perish on the spot. But I survived and found a hot tea to help get me through those rough mornings and not so glorious afternoons. Whatever your favorite beverage or snack of choice, keep a stash handy in case of those not so distinguished “Momm’in” moments. We all know they happen. We have a say in what we say yes to in our day. Some days may be unusually heavy with extracurriculars, while other days we may remain quietly at home. As an introvert over scheduling and rushing around drains my energy. It can also create emotional needs in my kiddos. I am careful what I add to our days. That doesn’t mean that we are secluded at home all day every day. There are still guitar lessons, 4H Horse Club, Homeschool Group Meet-ups, Reading to Shelter Animals, etc. The difference is I am aware of what we are doing on different days and I am careful to not over schedule. 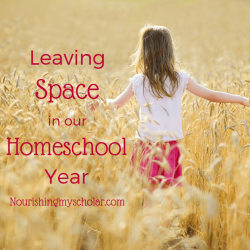 I leave SPACE in our homeschool for what truly matters each day. What things do you love to do? This answer will be different for everyone. So, think carefully about what will fill your heart with joy and make you smile. Gratitude is a big one for me. I have two timers set on my phone to remind me to ask myself what I’m grateful for every day. I’ve scheduled both timers so that they go off at times when my kids are not active. So early morning, and around bedtime. But you’ve gotta have a plan and you’ve gotta make it a priority. Be realistic with your self-care plan. You know what you can do and how much you need. Also, don’t be afraid to ask for help! I often call upon family members to watch the kids for an hour or two on the weekends so that I can get out by myself or have the solitude that I desperately need. Build time into your day for your self-care. Remember, keep it simple and find what works for you and your introverted self. Hey! Thought I’d say hi. 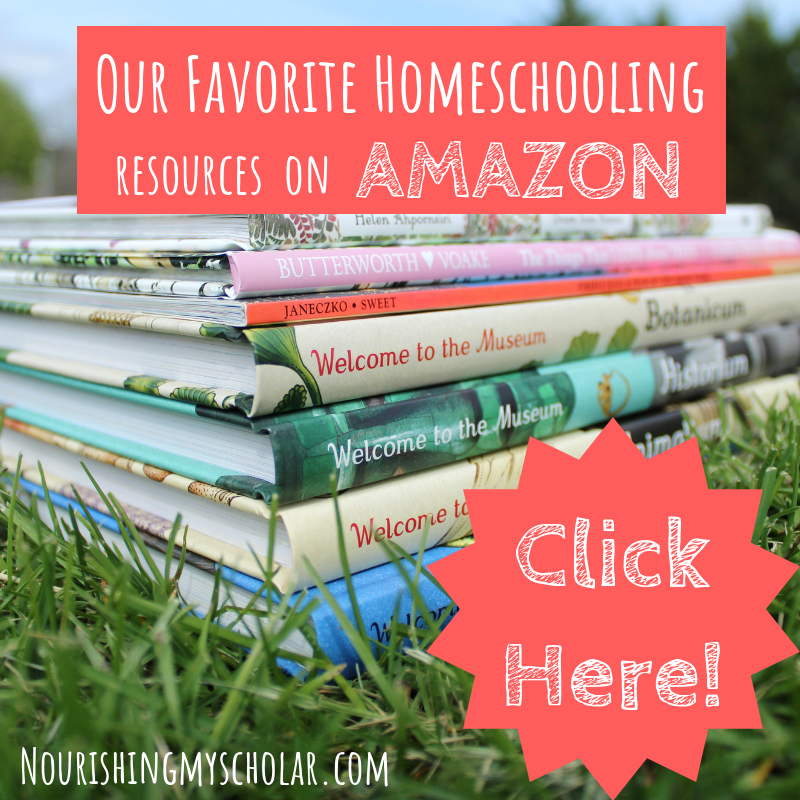 Especially love this post, as I’m researching for homeschool mama self-care. 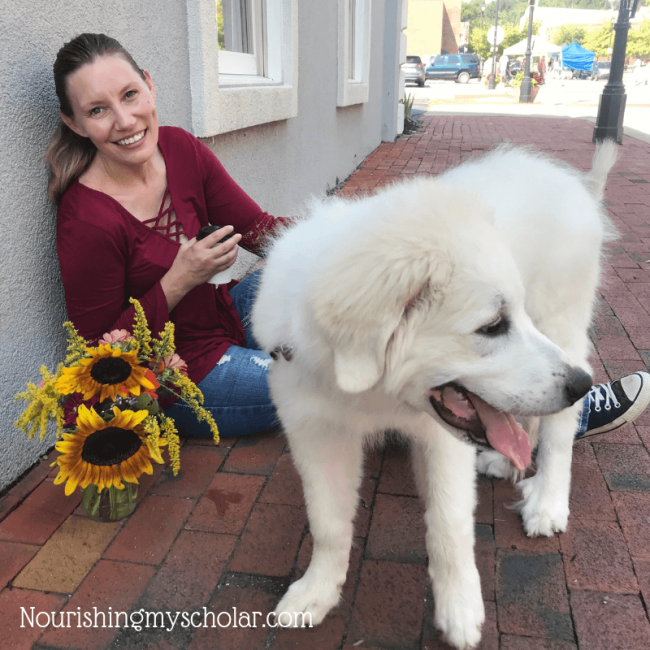 So interesting there is a homeschooling, homesteading mama who also has a great Pyrenees, introverted, writing, books and loves coffee. Hi there! Welcome to my little corner of the internet! I’m so glad you found me! time in quiet… AH.. I love having the TV off when the lads aren’t here. Such nice amounts of quiet. Quiet time is my favorite time! Thanks for this! Sometimes I need the encouragement that I am not the only introvert mom out there who needs to decompress after a day in town with people! 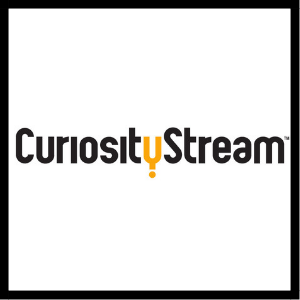 🙂 I just started reading your blog and am really enjoying it! Oh, welcome to my little corner of the internet! I’m so glad you found encouragement. You are not alone! I can so relate to this! 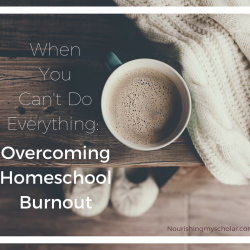 I had this problem as a homeschool mom, too, and my solutions were similar to yours. I actually enjoy doing the dishes because of the alone time. After giving my kids some assignments, I’d go walk around my garden with my coffee for a few minutes. We live in the country, too, and a walk down our dirt road gives me exercise as well as time to pray and sing. A walk to our mailbox does the same for me! It’s a good 15-minute walk, but it’s peaceful and I enjoy it!